All this week I’ve been seeing lots of posts on Facebook about people’s children beginning the new school year, whether it be grade school, high school or college. I’ve just finished 25 years of teaching filmmaking at Fairfield University in Connecticut. The Facebook posts reminded me of the first day of class, a bunch of new students staring at me as I introduced myself and what I hoped would be a wonderful adventure of learning about film, and maybe more of learning about themselves. I’d warn them that through each course I would be challenging them to seek the deeper truth, a journey that only begins in a classroom but lasts a lifetime. And I’d warn them that they would have to have humility to learn anything at all. To become the people they were meant to be--for the rest of their lives, the statement “I know” would have to be replaced with the words “I don’t know”. And I promised them it would be a difficult, but a thrilling ride. And I suddenly felt like I was 10 years old arguing with my sister. “You’re wrong!”, “No, you’re wrong.” No I’m not, yes you are, you are, no you are, yes I am, no you’re not, yes, no, yes, no…shut up, no you shut up, and we’d keep at it because we each wanted the last word, as though that gave us the victory, until our mother told us to cut it out and be quiet. I never really won any of those arguments with Frank, and after a while I kind of gave up. Confrontation is not much fun for me, especially if it looks like it won’t do any good. Frank graduated and went on to work at Goldman Sachs, and indeed he made a lot of money. And then one day I got a phone call from him out of the blue. “I’m calling to tell you something,” he said. I was expecting one of his normal arrogant assertions. “What?,” I asked. “You were right.” I almost fell out of my chair. I love those three words: you were right. For him to admit that I was right about anything meant that he was conceding he was wrong, and Frank never admitted to any error of thought or deed. It must be a trick, I thought. OK, I’ll play along. What was I right about? “Well, lots of things, about things I thought were so important,” he said. Like happiness and success, and what really matters in life. There was a genuine humility in his voice. He made a lot of money and had lots of things, but not necessarily a great life. Instead there was a profound emptiness in his life, and he had made a decision to turn his life around 180 degrees, go to law school, work for nonprofits, oh… and by the way, he was also finally in love. He also mentioned that for a long time he stubbornly held on to his old beliefs because he didn’t want to admit to anyone that he might have been wrong. That kind of defensive posture can go way back. When she was young, I used to think of my wonderful niece Amanda as ‘you’re-not-the-boss-of-me Amanda’. Like most of us, she went through a phase where she stubbornly refused to admit that what she was doing was wrong, especially if I corrected her. “You’re not my parents, you’re not the boss of me,” she said to me bunches of times. Amanda grew out of that phase, but there is something about being told what to do, about being corrected, that is often difficult for most of us, even if it’s clear we are in the wrong and the consequences of our actions are predictable. 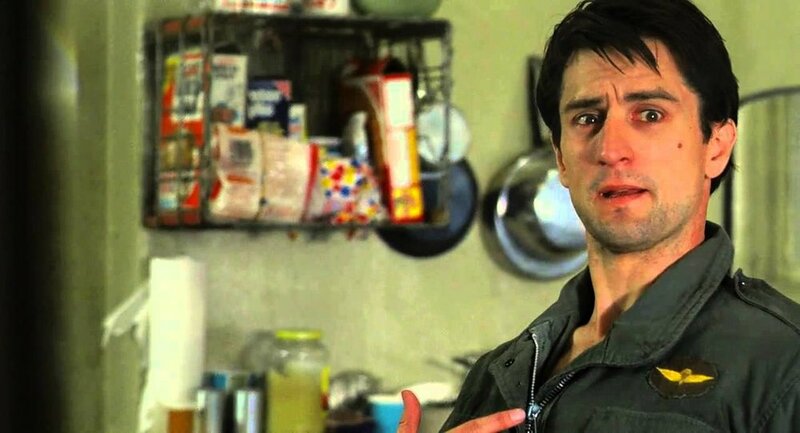 Sometimes these days it seems that no one is ever wrong, and if you have the nerve or courage to tell someone they are, they come back with something like Deniro in Taxi Driver: 'You talking to me? You talking to me?' There's an attitude there, it's a you're not the boss of me attitude, and it can happen between strangers on line at Gristedes, between sisters and brothers, between wives and husbands, between teachers and students. It's not really a great attitude to have, and in fact, Jesus addresses it himself in the Gospel today. He tells his disciples (and all of us) that sometimes we have to be corrected and we have to offer correction to our brothers and sisters. "If your brother sins against you, go and tell him his fault,” and if he or she doesn’t listen, get the whole church to help you out. I’ve often wondered how Jesus took to personal criticism. You know, he was a kid once too, right, and his mama and papa must have had to deal with him through the ‘terrible twos’ and all the testing that children inflict on their parents when they are growing up. When he didn’t want to do something, or was doing something that would hurt him, I’m sure some version of ‘you’re not the boss of me’ came out of his mouth. And as he grew older, certainly he disobeyed some of the rules of the household and the wisdom of his elders, and he had to be corrected. My mother always used to say that they put erasers on pencils because everyone makes mistakes, and it’s the only way to learn. And if the goal is to be a better person, to seek the deeper truth about ourselves, about life and about God, well Jesus had to have been corrected by his parents, his larger family, his friends, his teachers, and even strangers. Whether it be two thousand years ago or today, it takes a village to raise a child, it takes a village to help each one of us follow the path to the truth. In the old days, long before I was even born, the priests in religious communities used to practice something called fraternal correction. They used to stand up in a group meeting, maybe like once a month or something, and people would tell them what they did wrong. “Brother James wasn’t paying attention at Mass the other day,” someone might say, while Brother James was standing there in the middle of the room listening to the correction. Or, Fr. Michael would stand up, and someone would say, “Fr. Michael woke up late twice last week and missed his cleaning duties at breakfast.” It would be like if one of you would stand up right now and we would call out something you had done wrong. Who likes to be corrected? Who has the courage to correct someone else, even a relative, even a friend? Lots of times it causes a fight, lots of times it is not done in the right way and therefore it's not accepted in the right way. Those of you who are married, think about it. There’s the classic movie Who's Afraid of Virginia Wolf with Elizabeth Taylor and Richard Burton as a married couple, and it can be a brutal film to watch because of the way they 'correct' one another. Screaming accusations at one another, attacking one another. Some of their accusations are true, she is shrill and obnoxious at times, he is cold and selfish, but neither can accept the truth because of the way it is presented, the truth packaged as a weapon to hurt the other, to get even with the other, to make the accuser feel superior. How often that happens in marriage, right? Or between friends or neighbors? How has that described the conversations we have been having about our politics in the country these last months? Think of the televised debates of last year, or more recently the confrontations in Charlottesville. Consider how the President reacts to criticism, or how his opponents speak of any of the actions of his administration. It’s nasty, it’s hard to listen to. The negative energy is debilitating to us individually and as a people. But then there is the other reaction: how often the truth is never spoken, for fear that it will be misunderstood or rejected? There's a lot of silence in moments when things really need to be said, to make things better, to make people understand. Lots of times we lack the courage to say something that really needs to be heard because we feel these walls are up, or because we're afraid we'll be misunderstood or because we'll get hurt in the return fire. And yet, you know, we never learn, we never grow, unless we are corrected, unless someone is there to point out our mistakes, and you know, nobody's perfect, nobody, not even you, not even me, not even the President. In our heart of hearts we know that, even when we're leaving the checkout counter justifying our mistakes, in our heart, we know we are sometimes, often, wrong. So how do we do this? How do we correct and accept correction to be better Christians? How do we pursue the promise of the deeper truth that I proposed to my students on the first day of class? The good news is that Jesus tells us how to do it. It's in the second reading today, and in the gospel. It's real simple. When you go to correct your brother or your sister or your husband or wife or friend or neighbor for a wrong they have done, remember this: you need to have humility, and you need to love them. Love your neighbor as yourself. Love them. The reason to correct them is precisely because you love them and want to help them grow to be better people, better Christians, we've all got to help one another become perfect, that's our job, our commitment as Christians, to help each other get closer to God. We need to do it individually, and we need to do it as a family as well. Now that's easy to say, but it's not easy to do, but the Gospel offers us some hope there. "Where two or three are gathered in my name, there am I in their midst." In other words, if you correct or are corrected in love, Jesus will himself be right there to help---to give you the courage to say what needs to be said, to give you the humility to accept the truth about your mistakes. In other words, this is something we don't do alone, if it is done in love, there's the key, if it is done with your own humility and love, it is done with Jesus, opening our hearts to hear what needs to be heard. Then, "You talking to me" becomes, "What? Geez, I had no idea, I'll try not to do it again", and we all of us will be the better for it.